Digital media is one of the best methods to bring the mission of Miracle Network Dance Marathon to life. It allows people to see the impact that their participation and/or donations make in a unique and exciting way. Digital media can highlight a campaign, explain your event, or tell a story. Digital Media includes (but is not limited to) text, audio, videos, graphics, social media posts or other ways technology is used to communicate to participants, donors, and your community. Below are some of examples of digital media from a number of the Dance Marathon programs that applied for the Best Digital Media award, which will be presented at the 2017 Dance Marathon Leadership Conference in July. 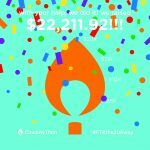 In addition to an updated website and a new blog, Auburn University Dance Marathon utilized a wide variety of digital media to help them reach their $500,000 fundraising goal. AUDM released their “Remember Why” campaign video to set the tone for the year, connecting students back to the kids and the hospital. This video touched on the sensitive and vulnerable side of their program and got participants reflecting on why they are For The Kids. In shaping this as a year-round campaign, AUDM had a “Remember Why” graphic for their staff and dancers to share and included #RememberWhy on the majority of their posts throughout the year. AUDM also created a Morale Lip Dub video, a Dance Marathon event recap video, a number of campaign promotional graphics; participated in live interviews on several local news stations; had articles published in The Plainsmen and Hercampus.com; and had a commercial shown on Eagle Eye TV, Auburn’s student news outlet. President Sydney Nicholas and Vice President of PR Tiffany Thompson for WTVM News Station in Columbus, GA.
BSU Dance Marathon created their “Live Moves Pretty Fast” video to remind their dancers to focus on their Miracle families and continue to do everything they can For The Kids at their local hospital. The creator of the video, Matthew Hood, said “I wanted to create a video that would continue to inspire all DM’s across the nation to continue fighting, to continue hoping, to continue living life. Life moves pretty fast, but in the Dance Marathon world, we can make life seem a little bit slower for our kids”. Elonthon created a new mission for their digital media this year–to spread the “why.” They wanted students on their campus to understand how important their cause is and encourage them to see that participating in their 24-hour event is the least they can do for the kids in their community. Their new strategy focused on making sure that all graphics and videos shared on social media were visually appealing, consistent with their brand, and always included a call to action. 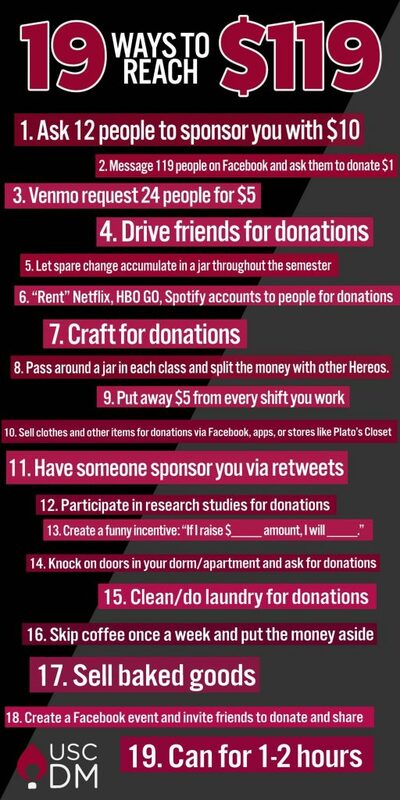 They created videos to announce their 2017 fundraising goal, promote their “Join the Movement 2.0” registration day, encourage “no more zeroes” in dancer fundraising, and recap their 2017 Dance Marathon. Their “Because of You” video was used to thank dancers and community members and show how fundraising makes a difference on students and Miracle kids. Because of you miracles were made. To each and every donor, dancer, advisor, committee member, and miracle family that helped us reach $351,554.17 this year – Thank you, from the bottom of our hearts. One day we will dance in celebration, until then we will dance for a cure. As a part of their fundraising push day this year, OwlThon at Florida Atlantic University hosted a date auction to contribute to their fundraising. The creative video they created to promote the event reached over 15,000 people and helped them raise $5,000 toward the $30,000 they raised during their 24-hour fundraising push. Dance Marathon at FSU set a goal to tell a story at their Dance Marathon event and put a meaning behind their largest in-event fundraiser, the miracle gong. The miracle gong was “the heartbeat” of their marathon. Every time a participant raised $100 at the marathon, they were able to hit the miracle gong so the families at Shands could hear that all of the dancers were one heartbeat, one movement, for one cause. Dance Marathon at FSU created a video that was shown at the opening ceremonies for both 20-hour shifts. 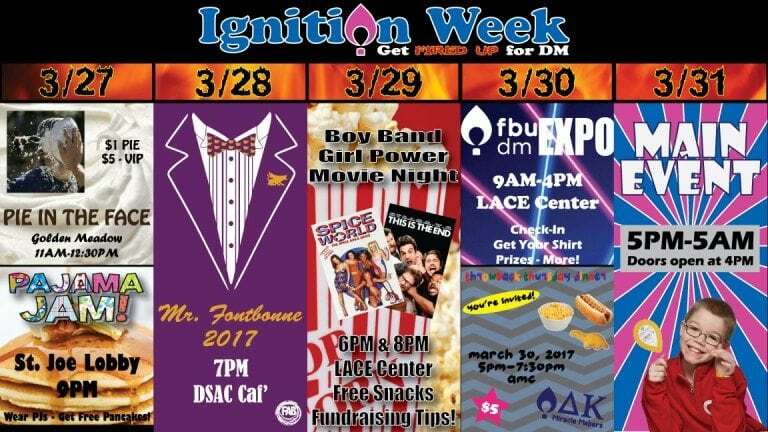 In their first-year as a program, Fontbonne University Miracle Network Dance Marathon hosted an “Ignition Week” to raise awareness for their first Dance Marathon event that weekend, fundraise, and get students excited to participate. To help promote this week, they created a humourous “Billy on the Street”-style video that was shared on social media, posted on the Center of Leadership and Community Engagement’s YouTube page, and was directly e-mailed to all students before they left for spring break. Georgia College Miracle wanted to address the misconception’s that students may have about a “twelve-hour dance event,” and worked to “create a unified community of students who shared the commonality of wanting to make a difference by bettering the lives of present and future generations.” They created this video to announce their 2017 fundraising goal of $175,000 and place more of an emphasis on their year-round efforts for their local hospital. Jagathon at IUPUI wanted to educate the students at their Dance Marathon about the unique fact that their local hospital is within walking distance from their campus. 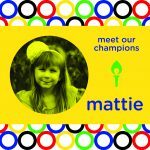 They created a video for their Opening Ceremonies that showed Miracle Kids bringing a torch, representing the hope that their hospital creates for families, from the front of the hospital to their Dance Marathon venue. After the video played, Jagathon executive board members ran the torch through the venue doors and kicked off their event. 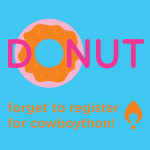 After rebranding their organization during the 2015-2016 academic year, CowboyThon wanted to focus on maintaining a consistent and recognizable visual identity for their organization. 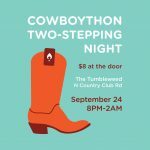 They utilized one font and simple, clean graphics to present CowboyThon in a professional light, allowing potential and current donors, dancers and hospital staff to regard CowboyThon in a professional manner. At the same time, they hoped that the bright colors and simple vector images would represent their playful, fun and bright mission for the kids. To celebrate their 5th year anniversary, St. Ambrose University Dance Marathon created a video to highlight their theme for the year, “Dancing Together, Fighting Forever” and celebrate their history as an organization. They also created an event recap video to remind dancers of their incredible accomplishments and the memories made during their 2017 event and to give donors, volunteers, incoming students, current students, alumni, and sponsors a look into what Dance Marathon at SAU is all about. BuckeyeThon created a “thank you” video “to show donors and participants the incredible things they are supporting when they give of their time, talent, and treasure to BuckeyeThon.” Their goal was to make sure that donors, team members, sponsors, and supporters feel ownership over their cause and their fundraising total. 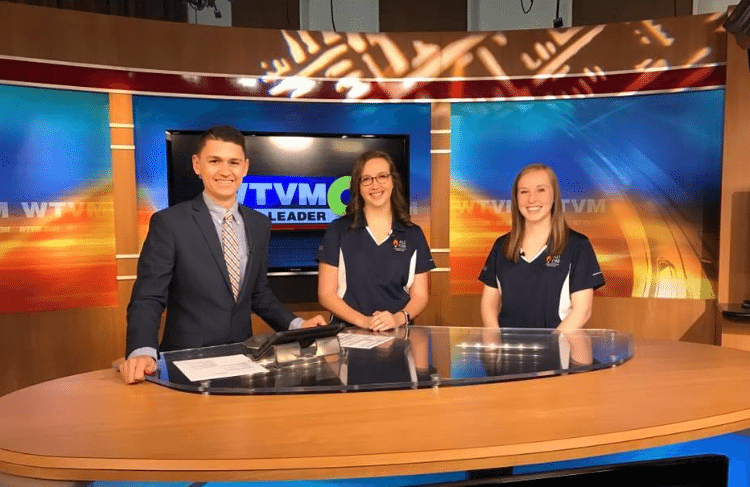 In BronchoThon’s first year on campus at Central Oklahoma, they wanted to utilize digital media to explain to their campus what a Dance Marathon is, what BronchoThon’s goals were, and why they should get involved. As they were a new program, they also had to educate their dancers on how to use Donor Drive to create their fundraising pages and solicit donations. They created a great “how to” video to give students a visual guide. Knowing that they needed to unite their entire campus in order to help them achieve their fundraising goals, University of Findlay Dance Marathon hosted their first IMDM (interest meeting for Dance Marathon or “I AM DANCE MARATHON”) event. They had 100 prospective dancers gathered in a lecture hall, where they revealed their 2016 theme with a video that was also simultaneously shared on their social media platforms. Dance Marathon at the University of Florida made the video they share at the end of their DM event a little differently this year. They wanted to include video clips from throughout the entire year, rather than just from the DM event, in order to show the progress they had made as an organization throughout the year. This past year, Soonerthon at the University of Oklahoma launched their “One Million Reasons Why” campaign with a video to call on the whole campus and surrounding areas to reflect on the many reasons they are passionate about the cause. They hoped that the video would not only have an emotional draw, but would also be seen as a call to action in helping them reach their goal. How will you be spending your Saturday? In Club Hillman or on the dance floor? Go to pdm.pitt.edu to learn more. They also announced their campaign for the year, “Limitless,” where they challenged their community to think beyond what they thought was possible individually and as a group. In order to challenge their dancers to think “Limitless”-ly, they provided resources to help them fundraise, including fundraising tips and informational “how to” videos, including how to personalize your Donor Drive page, how to share your fundraising page on social media, and how to write e-mails to potential donors from Donor Drive. For their “Day of Miracles” campaign, where they attempted to raise $75,000 in 24 hours, USC Dance Marathon created graphics that had a consistent look and feel in order to capture attention and stand out from their other content.